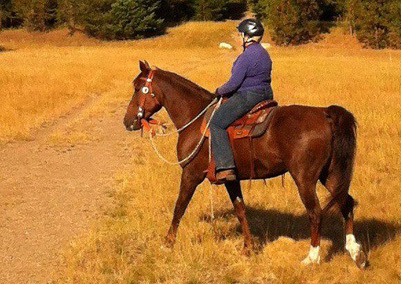 In 1997, as I looked for mares suitable to restart the Vintage Farm breeding program, I discovered a 5-year-old mare and fell in love with her movement and her soul. 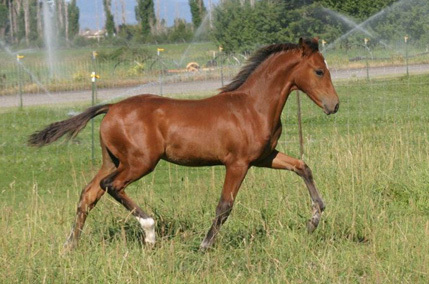 The owners graciously agreed to sell the mare to me. 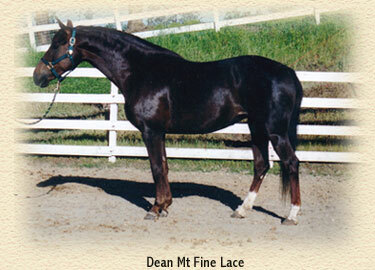 This mare is Dean Mt Fine Lace (Triton Applause x Dean Mt Merry Belle). 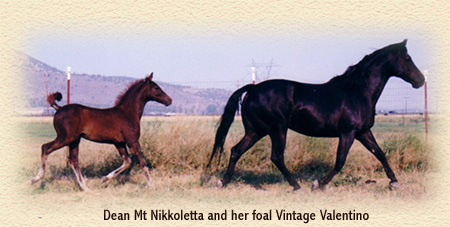 Later I was able to purchase two of her full sisters, Dean Mt Nikkoletta and Dean Mt Cherry Delite. 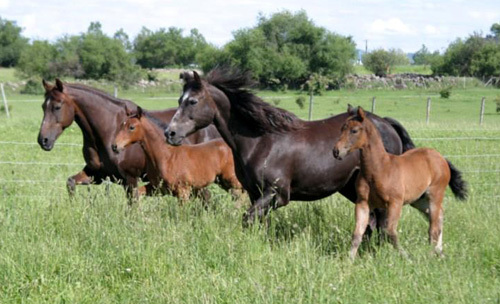 While these mares are individuals, they each have that serene kindness that I saw and admired in Lacey. 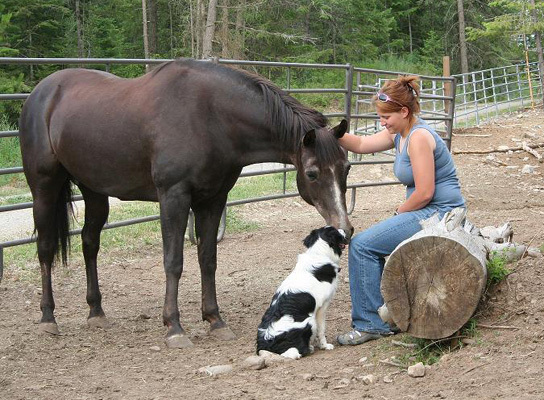 They are calm and yet highly responsive. 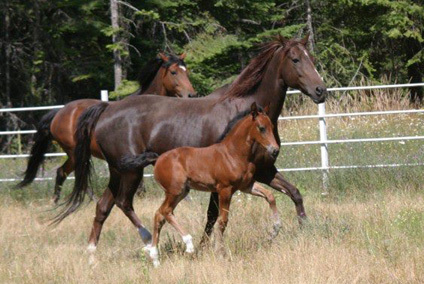 They are also excellent mothers, teaching their foals their calm and trusting ways. 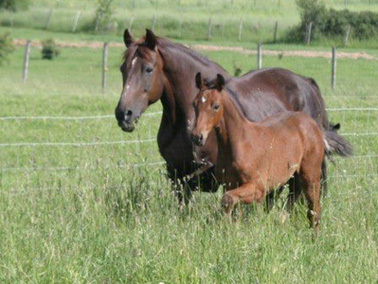 I owe much to their breeder, Joan Crice. Left to right: Dean Mt Fine Lace, Vintage Ethan Moro, Dean Mt Nikkoletta, and Vintage Indigo. 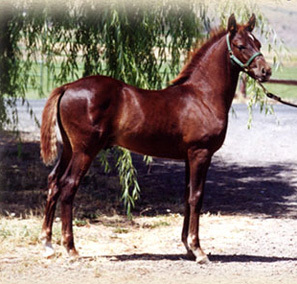 Both colts are sired by Sumrsnow Majestic. 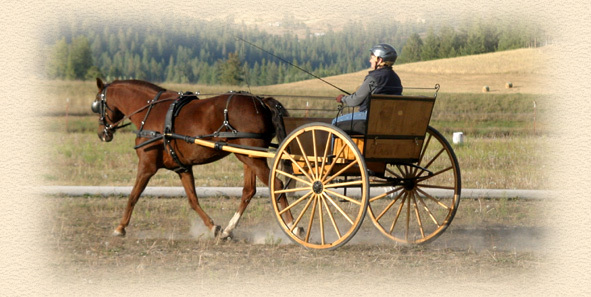 An ideal broodmare with a Cadillac ride. 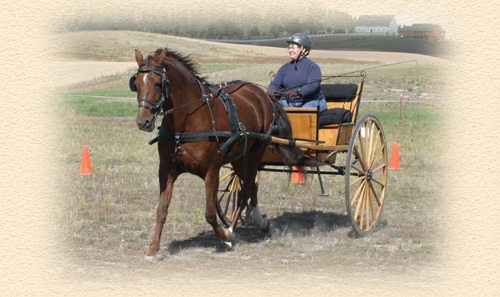 Lacey has been shown lightly in dressage at schooling shows with scores as high as 71%. consistently produced better than herself. 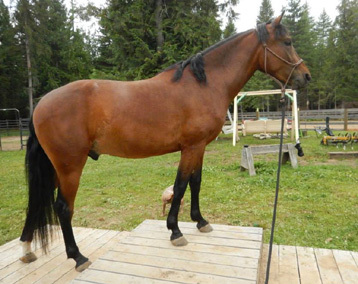 Nikkoletta is a full-bodied, well-muscled mare with exceptionally sound leg conformation and a kind disposition. 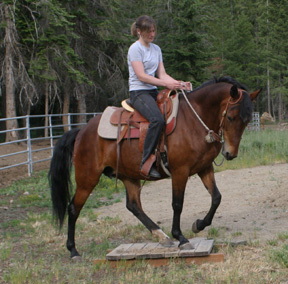 She was not ridden much as a young horse but turned out to be a great trail horse who is happy to carry even a young or inexperienced rider. 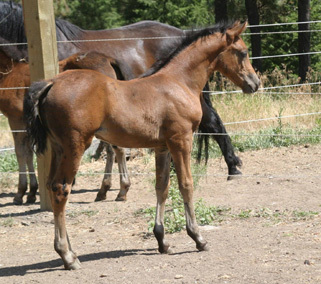 She has excelled at her broodmare duties, producing the lovely foals shown below.